A one-hour session of flight simulator and instructor time for 1-2 people from Jazz Airlines and CAE in Vancouver. The Vancouver D-8 simulator is located at 6001 Grant McConachie Way, Richmond, BC V7B 1K3. The actual date and time will be determined after the auction. Experience the training and instruction of professional pilots in this state-of-the-art flight simulator. 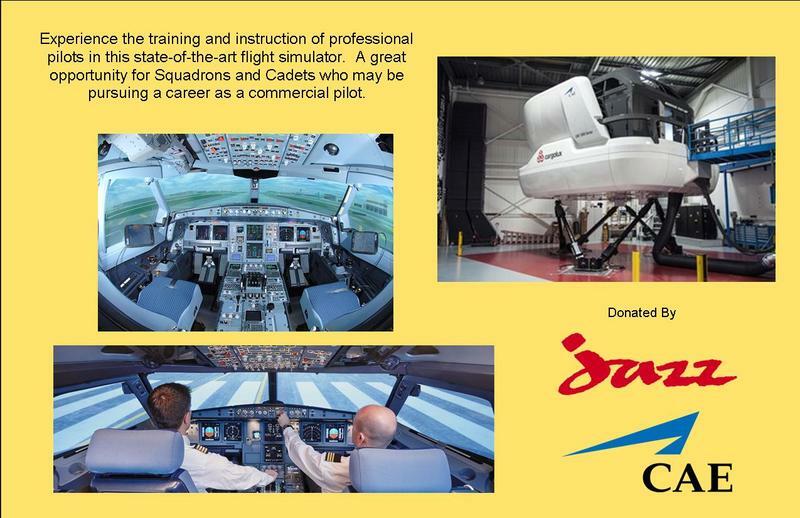 A great opportunity for squadrons and cadets who may be pursuing a career as a commercial pilot.